Eric Baković is an Associate Professor of Linguistics at the University of California, San Diego. He has published extensively in phonology and phonological theory, is the administrator of the Rutgers Optimality Archive, and is founder and co-editor of the journal Language: Phonological Analysis. 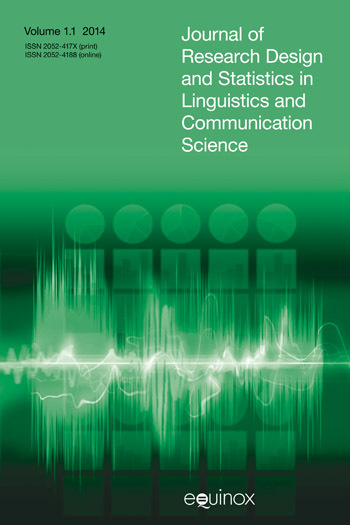 Disjunctive application is a type of interaction between phonological mappings that has received special attention since the inception of generative phonology and has significantly impacted research in other subfields in linguistics. 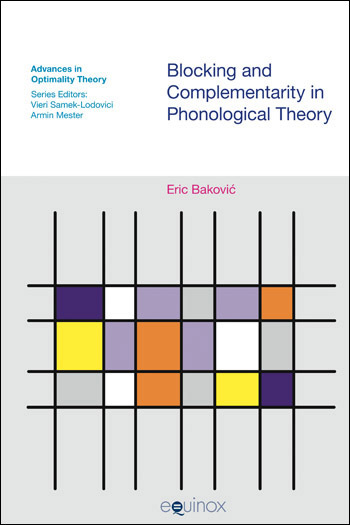 In this book, Baković argues that the principle commonly held to be responsible for disjunctive application, the Elsewhere Condition, is little more than a collection of necessary stipulations within Chomsky and Halle’s original framework of assumptions in The Sound Pattern of English . By contrast, disjunctive application is shown to follow automatically from the most basic assumptions of Optimality Theory with no added stipulations necessary. 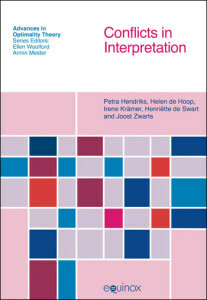 This book provides an in-depth discussion of the history and analysis of blocking interactions, of which disjunctive application is a special case. The distinguishing feature of disjunctive application is shown to be complementarity. The analyses of two types of complementarity (allophonic or ‘unbounded’ complementary distribution as opposed to ‘bounded’ complementary distribution) in both SPE and OT are discussed in detail, and it is shown that both have been analyzed very differently in SPE but very similarly in OT. The various stipulated components of the Elsewhere Condition are then discussed and contrasted with the lack of any such stipulation in OT. This is followed by a proof of two theorems within OT that solidify the result that two mappings in a particular formal relation to each other are bound to apply in complementary fashion. Bakovic does something rare in this book. He takes a set of problems that occupied much attention at an earlier stage in the development of phonological theory, questions that were abandoned not because answers had been found but rather because phonologists’ attention had turned elsewhere. He explores the history and the logic of the issues involved, shows how (and why) they should be translated into contemporary frameworks, and thus revives discussion of some important issues in the field. There are more such veins to be mined, and this study shows how rewarding that effort can be. Eric Bakovic’s new book provides a new look at the Elsewhere Condition. He is able to step back from the idiosyncrasies of the major phonological theories of recent years, and to encourage the reader to step back with him, and to rethink the puzzling character of many of the phenomena that have been offered as crucial cases for establishing one interpretation or another of the Elsewhere Condition. This is required reading for all concerned with the development of phonological theory. The OT literature has often noted challenges for rule-based phonology, such as typological overgeneration and missed generalizations. This book contributes a different, novel criticism in a domain that should be surprising because the field has forgotten about the problem. This is an important book that any phonologist should find educational and thought-provoking.